It had to happen. Karl Lagerfeld, the miniature maestro of haute couture, has turned his eye towards motorcycle fashion. 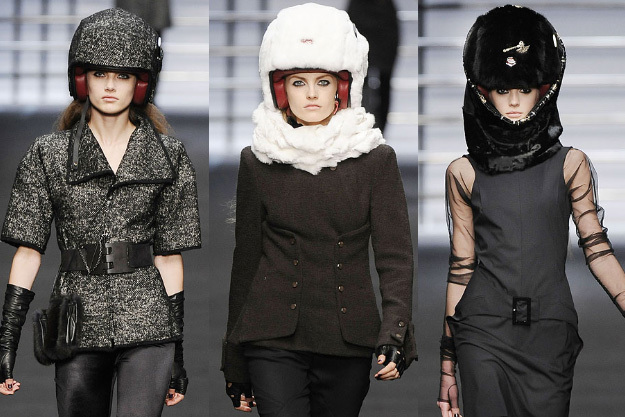 He’s joined Parisian high-end helmet designer Les Ateliers Ruby to create a line of covered helmets with built-in iPods. (Lagerfeld reportedly owns several hundred iPods.) Top marks for originality.